Before you call that first event venue, make sure you’re prepared to ask these vital screening questions to make sure your soiree is set up for success. How far in advance does planning need to start? Venues and vendors can vary wildly with the time they require to ramp up for your party, so get the minimum timeline for reserving and planning from the get-go. Many locations and businesses may be booked well in advance, so understand how demand and time of year (such as June for weddings) can alter your planning period. While there are some locations, such as restaurants, who will make very few special accommodations and can get your party on the calendar with little delay, be wary of any venue which makes big, custom promises with just a few weeks of preparations. What other events will be held at that time/location? Some event spaces are designed to host several events at a time. While your event may be on the other end of a large convention center, there is certain to be some overlap in amenities, such as parking and shared spaces. While you can’t control how they book out the other areas, you can ask about what celebrations are already on their calendar. A family-friendly wedding, for example, may clash with an adult-oriented trade show or concert. Know who your neighbors will be to avoid any unpleasant guest surprises. Venue pick: One perfect way to ensure your party won’t clash with other events is to reserve an entire restaurant. Scout Oakhurst in Decatur, Georgia mixes a light atmosphere with historic charm and a menu that features locally sourced ingredients whenever possible. It’s a cheery venue with open spaces, lots of windows, and seating for up to 160, so all of your family and friends (and only your family and friends) can be there! What part of the deposit is non-refundable? If your venue is handling every detail, from flowers to food, they may require just one deposit for your event. If they enlist the help of third-party vendors, however, and act as a contractor to pay those companies deposits, you may have several payments to make with varying terms and conditions for each. Get your deposit terms in writing, with explicit instructions on how to request a refund and how much you’ll get back, for every part of the planning. There should be no question as to how much you’ll lose if you have to change your mind. This seems like a silly question in its simplicity, but it may be the most important part of planning an event. You should have just one person you reach out to that will advocate on your behalf for every moving part of the event. 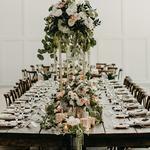 If you choose to hire outside caterers or vendors, you’ll have a dedicated contact person with each of those, but if the event is all-inclusive, your rep should be prepared to answer questions and make adjustments behind the scenes for you. Know how to reach them, when they are reachable, and who is in charge if they cannot be contacted during their normal hours. Can I talk to former customers? Unless your choice of venue is brand new, there should be some past party experiences they can talk about with you. Ask to call or speak to a recent customer who can share their experiences and answer questions you may have about planning. It’s ideal if the venue can match you up with someone who is having the same type of event (wedding reception, corporate dinner, class reunion). The venue should at least be happy to provide you with some comments they’ve collected, as well as contact info for people willing to give their personal comments to you directly or even answer some questions. Remember that venue-provided testimonials only go so far, since they’ve been handpicked as the best of all the feedback they’ve gotten. You might also want to check out past reviews from reliable sources, using discretion with those you find online. (Internet reviews aren’t always honest, and some can be downright mean or misleading.) Use due diligence when basing your decision off any comments or reviews that seem to stick out as an anomaly. Having a healthy guest-to-staff ratio is important, and the more services your venue provides, the better the ratio you should see. If the venue is simply a restaurant opening up their party room, expect to just have a few additional servers or a bartender on hand. If the venue is doing everything from music to custom cocktails, however, expect the number to increase significantly. This is by no means an exhaustive list, and you should have all of your questions written down to ask when you make calls and tour locations. These questions are often the ones that can cause the most hassle when not addressed properly, so don’t be shy in finding out the answers before you make a venue commitment. It may also be helpful to check out the event’s FAQ or comments listed on the EVENTup site, since profiles can answer many questions ahead of time, including parking, seating accommodations, and whether there will be outdoor space.